Washington July 13 (IANS) Health officials in the US states of Illinois and Iowa are probing an outbreak of intestinal illness which caused over 30 people to have diarrhea and nausea after consuming McDonalds salads. More than 20 people who ate salads at McDonald s restaurants in Illinois have suffered from cyclosporiasis - an intestinal illness - since mid-May while 15 were sickened in Iowa reports USA Today. Cyclospora is a parasite more commonly found in developing countries. Symptoms of cyclospora infection include diarrhea loss of appetite and weight cramping bloating or increased gas nausea fatigue and low-grade fever. "Anyone who ate these salads since the middle of June and who developed diarrhea especially watery diarrhea and fatigue should see their health care provider and get tested for Cyclospora to ensure an accurate diagnosis and appropriate treatment " said Patricia Quinlisk Iowa s public health medical Director and epidemiologist. In Illinois public health officials have counted 90 cases of cyclospora since mid-May. About a quarter of those who have fell ill say they had consumed McDonald s salads within days of suffering symptoms. 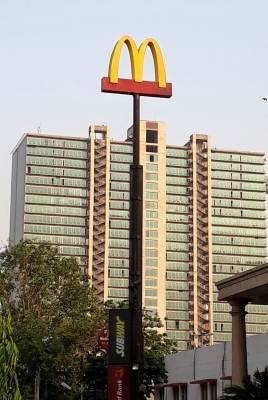 Health officials in both states said McDonald s is cooperating with the states Centres for Disease Control and Prevention and the Food and Drug Administration investigation. McDonald s said "out of an abundance of caution" it is in the process of removing salads from some restaurants and distribution centres and will resupply restaurants with salads from other suppliers USA Today reported. "Although a link has been made to salads sold in McDonald s restaurants in some Illinois cases public health officials continue to investigate other sources " said Illinois public health director Nirav Shah. "If you ate a salad from McDonald s since mid-May and developed diarrhea and fatigue contact a health care provider about testing and treatment."